With an integrated approach that blends sectors, disciplines and nationalities, the programme seeks to produce new ways to solve problems innovatively and efficiently, and to train scientists who think creatively, innovatively, critically and practically. We were delighted when we were asked to be involved and it is our pleasure to offer an industrial secondment to one of the students, Erick Ratamero. Erick is Brazilian, and in his words, he “studies interesting things”. His primary interest is in Mathematical Modelling and he’s bringing this to bear in both his research project and his work with us. In the last couple of years, he has worked with Evolutionary Game Theory, Innovation Theory, and has even done a bit of modelling for Sports Science. With diverse interests, Erick’s research project is focused on understanding the FtsZ protein and its effects on membrane remodelling in bacteria, whilst in his work with us he will be using mathematical modelling to understand social network effects. It’s early days yet as both projects take shape but we’re hoping for some exciting results. Famous for its cultural heritage, Venice is certainly thought to be one of the most beautiful cities in the world—a sentiment that I cannot disagree with. It is also home to much creativity and innovation. Somewhat of a fitting location for the most recent Marie Curie CAS-IDP Networking Meeting. As part of the programme, regular meetings are held for students, academic supervisors and industrial partners to review progress, share training, further develop cooperative relationships, and to benefit from knowledge creation and sharing. 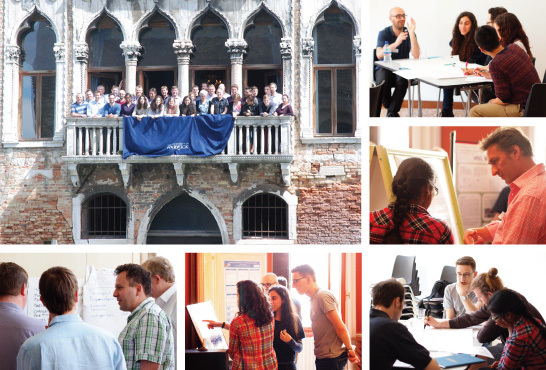 We have just returned from such a session held at Warwick in Venice, a University of Warwick teaching premises housed in the 15th century Venetian Palazzo Pesaro-Papafava. During the two day session, many interesting conversations were had, good scientific progress was made and collaborations flourished. Putting into practice some of the frameworks we love, Matt and I delivered two training sessions to the ESRs focused on creating great relationships with supervisors and industry liaisons. Together, we encouraged researchers to step into their supervisors’ shoes and explored ideas for how to manage well across projects, time, meetings and people. We throughly enjoyed the whole experience and have certainly learned a lot ourselves. In addition to the scientific focus, one of the most notable features of the experience for us was the quality of conversations and the breadth of topics explored, from the chemistry of confectionery to a love of fiction, beekeeping to a shared passion for cars, biology to pilates. Such shared experiences build relationships and can also be the spark for new ideas. We ourselves have come away with food for thought and are looking to develop some of these ideas further in coming months. Top left: Naomi Grew, 2014; used with kind permission. All others: Alvin Teo, 2014; used with kind permission. Bottom centre: Alvin Teo, 2014; used with kind permission. All others: Matt Stocker & Debbie Stocker, 2014. WBS Case Competition is back—and it’s going international! Last year, we co-created and wrote the challenge for Warwick Business School’s inaugural Case Competition. This year the competition is back, it’s going international, and we’re thrilled to be involved once again! 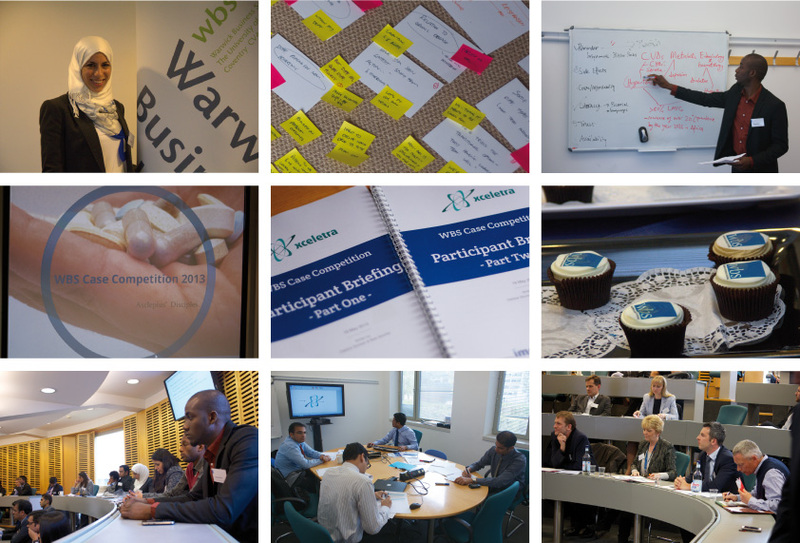 Building upon last year’s resounding success, the 2014 WBS International Healthcare Case Competition will bring together the finest minds from university-based business schools across the world. With a focus on fostering creative solutions to complex problems, the competition is an opportunity for multi-disciplinary teams of students to once again bring their talents to bear on a contemporary healthcare issue. We’re delighted that we’ve been commissioned to develop and write the challenge, working in partnership with both Warwick Business School and GE Healthcare, kind sponsors of the 2014 Competition and global providers of transformational medical technologies and services. From an overwhelming number of applications, 12 teams have now been selected to compete. Taking up the challenge on the day are teams from Aston Business School, Cranfield School of Management, ESADE, HEC Paris, IE Business School, Lancaster University Management School, Manchester Business School, Mannheim Business School, SDA Bocconi, University of Nottingham, University of Oxford, and Warwick Business School. Let the competition begin! If you’ve read our earlier article, Introducing OMIS—your global research network, you’ll have a pretty good idea of the ways in which OMIS (Overseas Market Introduction Service) can help you as your business expands overseas. If you’ve seen my last post, there are in fact a whole host of ways to avoid playing ‘pin the tail on the country’! OMIS is one such resource. If you haven’t heard of it before, OMIS stands for Overseas Market Introduction Service. Provided by UK Trade & Investment (UKTI), OMIS allows businesses to access the services of UK trade teams located in British embassies, high commissions and consulates across the world. Having used OMIS ourselves for several international client projects, we’ve found it to be a hugely valuable service and would recommend it to anyone looking to break into a new overseas market. Internationalisation can be a daunting task, especially when there are differences in time zones, languages and cultures. OMIS provides a wealth of practical support, advice and key market information, supporting you through each stage of your international journey. Whilst we’d always encourage you to begin the process of market research for yourselves, international research can be difficult when you don’t have contacts ‘on the ground’ and the research information you are looking for is in another language—Babel Fish and Google Translate only go so far! OMIS teams can prove invaluable in finding the information you need and you’ll be amazed by the caché that contacting organisations through the British Embassy brings—it really can open doors that would otherwise remain closed. Imagine sitting at your desk in the UK and receiving a call from an international embassy—you would certainly provide a warmer reception than for a cold caller. The call would probably get past your secretary too! This works in the same way abroad. When it comes to actually visiting an international market in person, OMIS can be on hand then too. 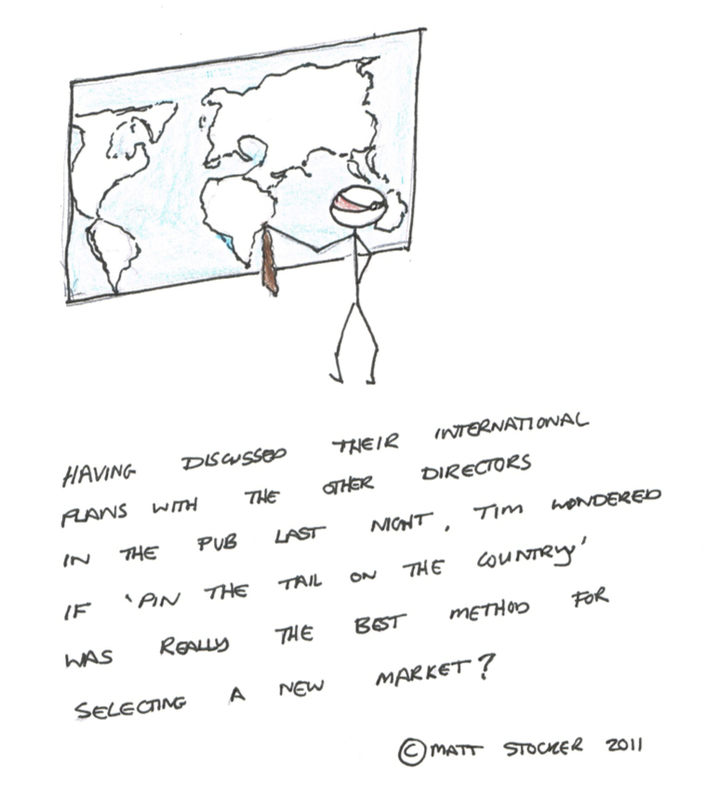 Booking meetings for a market visit and sending marketing material abroad can be time-consuming and frustrating due to the added complexities of tracking down the correct address in another language, dealing with international postage, sourcing meeting venues, and ensuring that you don’t book two meetings at opposite ends of the country on the same day! Using OMIS’ market specialists removes considerable stress and hassle both during the organisation of your visit and once you’ve actually landed in the country. We’ve used this service before and wouldn’t consider organising a market visit any other way. How can OMIS help me? OMIS provides a broad range of activities, each of which can be tailored to your individual requirements. You might be looking for more indepth information on a particular market, interested in identifying a new business partner for your services or looking to launch your product abroad with a splash: OMIS can help in any or all of these situations. Sadly, not all activities are available in every overseas market as the activities are dependent upon the presence of UKTI market specialists within a given country, but where OMIS is available the market specialists are solely dedicated to supporting UK businesses (UKTI provides a full list of country specific information on their website—those countries marked in bold offer full local services). OMIS services start from around £225 and then vary in price depending upon your requirements, the level of support you are looking for and the country that you are looking to target. Overall, their prices are very competitive compared to commercial in-country support, especially when you consider the reduction of risk and the support apparatus around these services in the UK. Your first step is to get in touch with UKTI (look for your local contact by region) and to meet with an International Trade Adviser (ITA). Your ITA will become your key point of contact and will be able to offer additional advice on your internationalisation process. To enable you to access OMIS, your ITA will put you in touch with the right contacts, help you fill in the relevant paperwork and brief, and support you throughout the OMIS process. If you have already started the OMIS process or are thinking about requesting their services, we’ve pulled together our top tips for getting the best out of OMIS in our latest article. Have you ever pinned the tail on the country?! We had the privilege of interviewing Adam Bird, Co-founder and Chief Technical Officer of Esendex. Having established themselves as leaders in business SMS in the UK, Ireland, France, Spain, Australia and now America, Esendex seeks to transform business communication. Adam describes Esendex’s experience of going international and offers his insight and advice to other companies looking to internationalise.